The Swing Cube is a cost effective EIA solution for mounting network, communi-cations and security equipment in telecommunications rooms where floor space is limited. The front door can swing right or left. The Body can also be swung from the rear for easy access to network equipment Rated for 200lbs. Available in any Color. Standard colors are Black, White, & Gray. 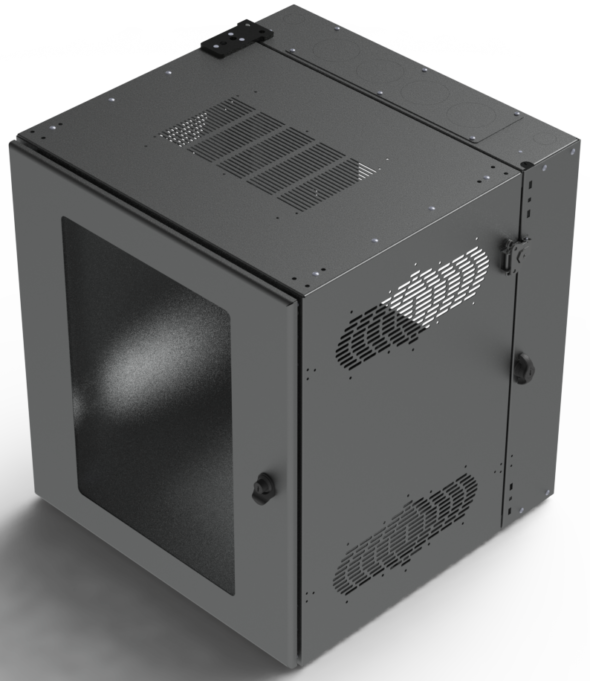 The Swing Cube is a cost effective EIA solution for mounting network, communications and security equipment in telecommunications rooms where floor space is limited. The front door can swing right or left. The Body can also be swung from the rear for easy access to network equipment Rated for 200lbs. Available in any Color. Standard colors are Black, White, & Gray. The Swing Cube is a cost effective EIA solution for mounting network, communi-cations and security equipment in telecommunications rooms where floor space is limited.